Playdough is such a versatile play material that we really can’t get enough of it in our house. My elder daughter is nine now and we’ve been using playdough since she was around the age of one. We make a fresh batch using our favorite homemade recipe every few months and have it out to play most weeks. That’s a lot of playdough playing! 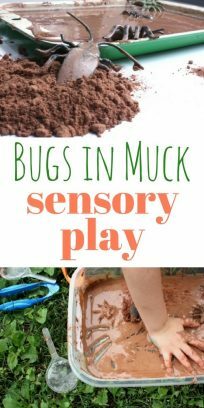 I think it’s remained one of our favorite ways to play because we’re always adding new elements – new ingredients or accessories to give it a twist and invite the children to try the dough a different way. 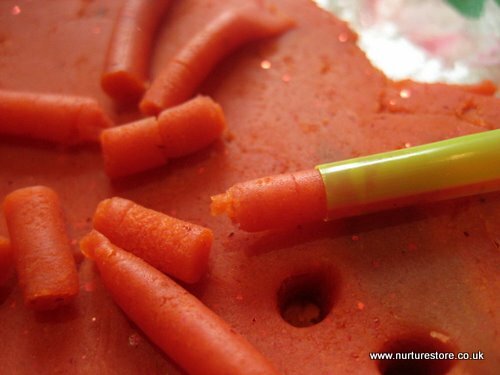 Have you ever tried adding drinking straws to your playdough? This was a super frugal material for us as they’d already been used for scissor practise and making some contact paper art – but how would the kids use it with playdough? It’s always interesting to offer a new combination of materials, sit alongside an observe, and see what they children discover. 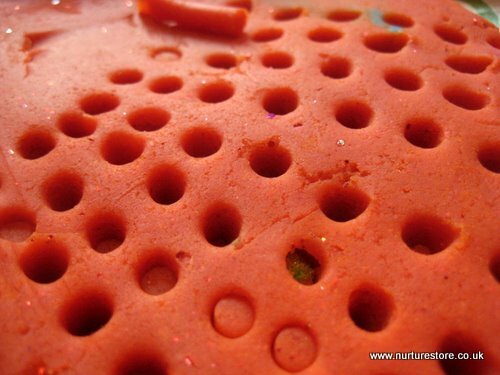 Firstly, my 5-year-old discovered the drinking straws were great for making circle patterns in the playdough – and sometimes the playdough stayed inside the straw and she made lots of holes. Even more fun was discovering that with a gentle squeeze she could make lots of playdough worms pop out of the straws. She tested out how to make the straws stand upright in the dough and we mixed in some math play by ordering the straw pieces from the biggest to the smallest. She also made families by collecting all the straws into matching color groups – great classification practise while she played. What could you add to your playdough this week to give you children something new to discover? We’ve tried chocolate, toothpicks, pencils and leaves with great fun results. If you’d like a printable version of our favorite playdough recipes, together with a year’s worth of ideas of things you can add in with your playdough, please stop by NurtureStore to get a free copy of our Let’s Play Dough ebook. I’d love to welcome you over on our Facebook page too – please come and like NurtureStore and I’ll keep in a regular supply of new play ideas. 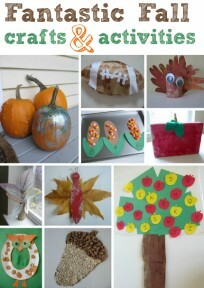 Cathy James is the creative force behind NurtureStore a blog devoted to play ideas, kids’ crafts and fun activities. and the worms are so fun! Love this Cathy! This activity is also a favorite at our house! I love the play dough worms! 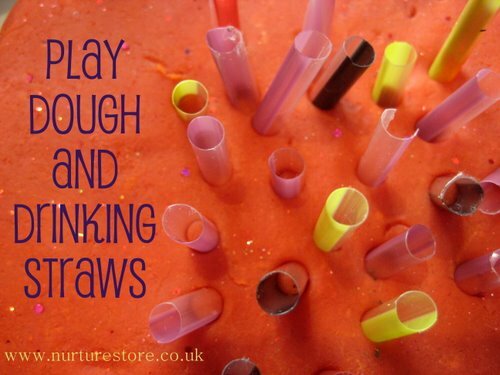 We haven’t tried combining play dough and drinking straws – maybe we’ll have a go at it this afternoon! 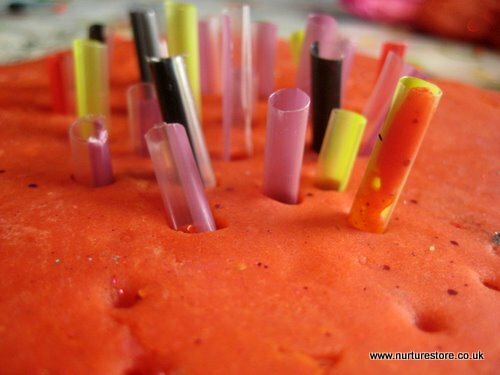 I’ve used straws with play dough and pretended they were birthday cake candles. My daughter ran the bakery and I would make cake orders. “I need a cake for Jessi who is turning six.” And then she’d make a cake for me and count out six candles. Since she loves everything about birthdays it was a fun way to practice counting. I love this idea! I am an occupational therapist and one of my favorite fine motor activities is play dough!! I live the idea of squishing the dough out of the straws! That will be great for grasp and strength! Thanks for the idea! !